…in fact, if Apple turned on the HSPA part of the Gobi 14.4 chips in its Verizon iPad and iPhone, they’d already be 4G, at least according to AT&T. Chris Ziegler noticed today that AT&T has started calling regular old 14.4Mbps HSPA devices 4G in its latest marketing materials. Until recently, the pseudo ‘4G’ was reserved for HSPA+ on T-Mobile which tops out at 21Mbps. However, with the release of the HPalm Veer 4G, HTC Inspire 4G and Motorola Atrix 4G, AT&T has extended the ‘4G’ down to speeds of 14.4 Mbps, the same speed as those Qualcomm chips that Apple loves. 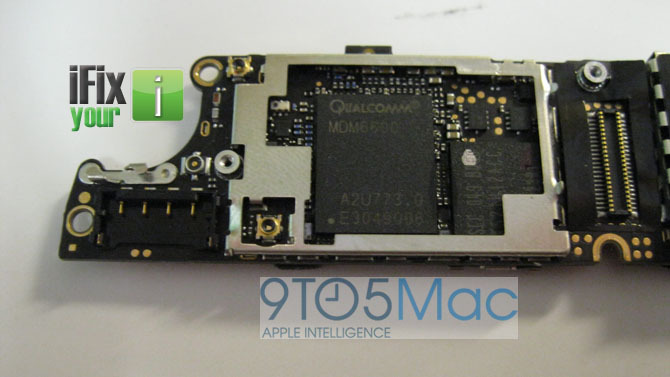 Most industry watchers expect the next iPhone to run on some version of the Qualcomm chip that the Verizon has which would let it do double radio duty and be operable on all US networks.